Key Residential, Ltd. is a home remodeler and custom home builder serving Dallas, University Park, Highland Park, Plano, Frisco and the surrounding areas. We pride ourselves on our approach to customer satisfaction and our ability to help homeowners transform the dreams they have for their home into reality. We specialize in home remodeling services including whole home remodeling, kitchens and baths, outdoor living, and other remodeling projects. For over three decades, Joanie Wyll ASID, has put her stamp on the Dallas/Fort Worth interior design community. Her style ranges from traditional to contemporary and her talent has been recognized by the American Society of Interior Designers - Dallas community and Texas chapter. Joanie Wyll and Associates, Inc. is widely known for their use of innovative materials, leading edge technologies and contemporary styles. Joanie's talent has afforded her the ability to design projects ranging from private residences to the hospitality markets with a bevy of projects in between. Pat Ratcliff ASID has become well known as one of Texas' premier interior designers over the past thirty years because of his notable achievements and high-profile clientele. Pat designs in all styles from contemporary to traditional, from residential to commercial designs. His ASID certification and notable talents have opened the doors to some of Dallas' most elite homes, where his distinctive and elegant styles solidified his reputation as a top designer. We are a full-service lighting design firm. From concept through installation, our design and specification of lighting and control systems is our expertise. Using both natural and artificial light, we create unique visual environments for emotional impact. Our services provide value and quality, incorporating both aesthetics and effective use of energy. 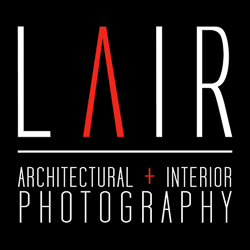 We collaborate with owner, architect and interior designer. Our services range from concept development to fully documented lighting design, from custom fixture design to strategic placement of standard products. We have the resources and expertise to run complex illumination calculations, daylighting analysis, life cycle analysis, and cost comparative studies. As an established and trusted real estate adviser, Bill Fandel consistently represents the Telluride Region's most discriminating buyers and sellers. From the region's finest luxury homes and penthouse condominiums to iconic trophy ranches and estates, Bill works diligently to best serve his clients' specific needs & interests. Douglas Elliman is the nation's fourth largest real estate company, with a current network of more than 5,000 agents. Tommy Latousek is the director of Douglas Elliman | Joshua & Co. - The Ranch Group, the large-acreage, rural property division at the firm, where, based out of both Aspen and Boulder, CO, he covers the farm & ranch specialty for all of Colorado and the Rocky Mountain region. Grassroots Landscape Design creates innovative gardens and landscapes. We draw inspiration from the natural contours and conditions of the site and thoughtfully integrate hardscape while enhancing the elements intrinsic to the native landscape. InPhase Audio is a custom integration company that specializes in Lutron Lighting, Lutron Shades, Networking, Whole House Audio/Video Distribution and Custom Home Theaters. Light Notes Inc. is an architectural lighting design firm specializing in aerospace grade fiber optic lighting for the purpose of presentation and preservation of fine wine collections and priceless artifacts. USAI Lighting is owned and operated by Bonnie and David Littman, third generation members of the Littman family whose rich heritage in lighting dates back to 1939 when inventor William Littman manufactured the fluorescent fixtures GE introduced to mainstream America at the World's Fair for the first time. Our legacy of firsts continues as USAI Lighting leads the industry in designing and manufacturing sophisticated LED products as well as those utilizing a variety of traditional sources, including compact fluorescent, metal halide, and low-voltage halogen. Appalachian Woods is a family owned and operated business dedicated to excellence as a leading manufacturer of wide plank traditional and reclaimed wood flooring. Specializing in Wide Plank Reclaimed Wood Flooring, Lumber, Beams & Millwork, Antique Heart Pine, Wormy Chestnut, Barn-Board Oak. Offering nationwide job site delivery. The cutting edge solution to building the home of your dreams. Sequel Home Builders combines innovative minds with expert craftsmanship and a dedication to our clients unparalleled in the Metroplex. Here at Sequel Home Builders we strive for professionalism and a commitment to excellence to deliver you your dream home.